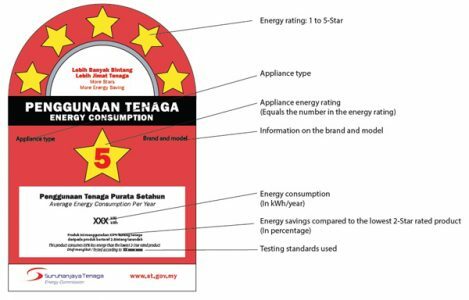 Once considered a luxury, an air conditioner (AC) is now regarded as one of the necessities for many households in Malaysia, especially for a family with children and elderly people. When the weather is extra hot, it is just impossible for everyone to have a restful day and feel comfortable even with the ceiling fan at full speed. Thus, to create a more comfortable environment for the whole family, installing AC units inside the bedrooms and living room is a great idea. 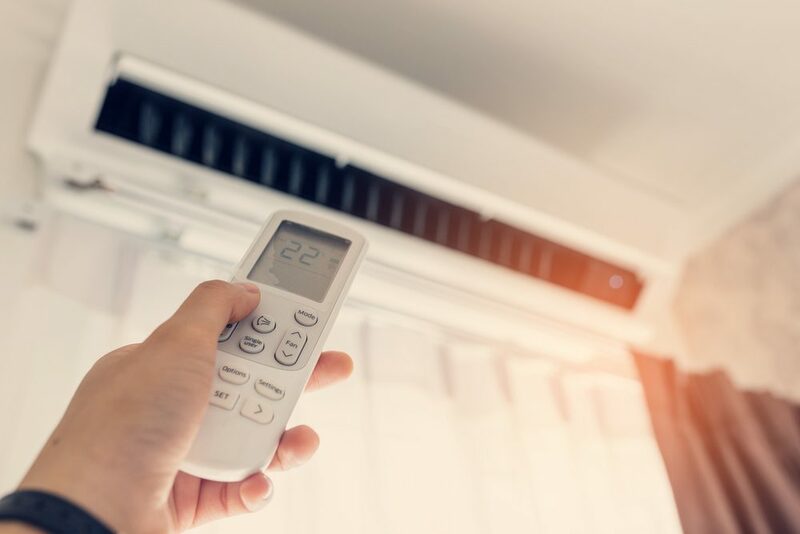 However, many homeowners are still unclear which type of AC is the best, how much horsepower would their AC need in a specific room, and several other important things you should know before buying an AC. Here are the basic tips and guidelines that will help you choose the best AC unit for your home. 1) Horsepower – How much is needed? The basic rule of thumb is the bigger the room is, the higher the cooling capacity is required. Another factor to consider is the amount of heat exposure the room has during the day. 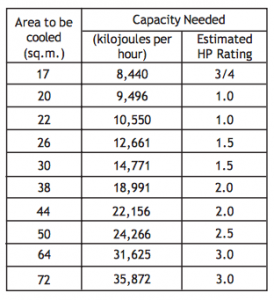 If the room has direct sunlight, it might need bigger HP to bring the temperature down. So, it is best to consult an AC expert before making any purchase. They would be able to make an assessment and suggest the best HP AC unit for all the different areas in your home. 2) What type of AC is suitable for my house? 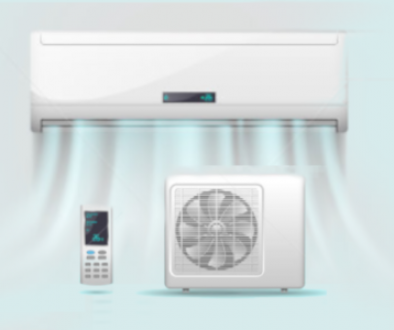 Split-unit wall mounted AC are commonly used for homes. The set comes with an outdoor compressor and an indoor unit. Like the name suggests, the indoor unit will have to be mounted on a wall. So if the room has some space on the upper part of the wall, this type of AC would be the best option for you. To get the best cooling performance, the indoor unit should be mounted 7-8 feet above the floor for a room with 10 feet ceiling height. 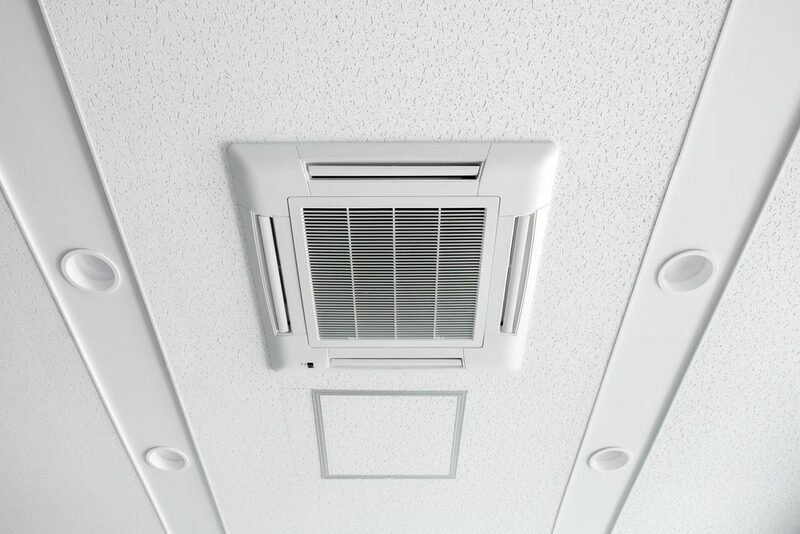 Cassette ceiling mounted AC is another type of AC suitable for home use, especially big houses. Like the split unit, when you purchase this AC, it will come in two separate parts too. The indoor unit will be ‘planted’ inside the ceiling, leaving just a slim panel that will blend well with a white plaster ceiling and the other room interior. Although the visible part of the AC unit is very slim, the back part of the indoor unit is usually 700m m thick. The minimum ceiling height to install this type of AC is 10 feet. So this type of AC is only suitable for rooms with high ceilings like a living room with a high void area or an attic room. You should also know the difference between inverter and non-inverter units, as you can save more money in the long run with inverter units. 3) Does usage pattern matter when choosing an AC unit? For a house that is empty during the day, it is OK to splurge a little bit by investing on an AC unit with bigger horsepower (HP). It is because a 2HP AC would need lesser time to cool a room as compared to a 1.5HP AC would for a room of the same size. So with just a very short time, you would spend at home on weekdays, it’ll be great to have the room in a comfortable temperature as soon as possible. As for homes that will be occupied throughout the day, the main element that you should look for is the AC’s level of efficiency in cooling the area where it is installed. The room might not have to be too cold until the children need to wear a blanket during their afternoon naps, but comfortable enough for some indoor time. 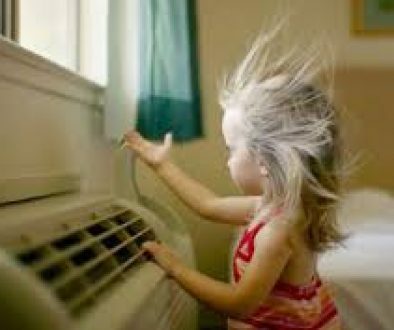 Another point to consider is to find an AC unit with higher energy saving quality. Since the AC will be switched on for more than 12 hours a day, it’ll be wiser to seek for an AC that consumes less energy. 4) How do you know if your AC is energy saving? So before deciding which AC unit to buy, see how many stars it has. More stars, more energy saving. 5) What are the most useful functions on the AC remote control? The most important function is, of course, the ON/OFF button, without which, you’ll need to have a ladder on standby inside the room to press the button manually on the indoor unit (some brands don’t even have this!). Fan speed Change fan speed to low, medium, high or auto depending on the room temperature and set temperature. If the room is too hot, set the fan speed on high to cool the room faster and vice-versa. Timer On / Off You can preset the time for the AC to switch ON and OFF. Very handy when you want to come back to a cool home after 2 hours of being stuck in the traffic! Sleep mode Change to this mode before going to bed and the AC will turn itself ON and OFF to maintain the desired temperature throughout the night. 6) How often should you service your air-conditioner? When you invest in an air conditioner unit, it only makes good sense to take care of it so it will last a long time and you don’t end up wasting money. Regular servicing improves the efficiency of your air conditioner. In fact, experts say that for every year of operation in which you do not service your aircon, it loses 5% of its efficiency. That means that if you go 3 years without servicing, the efficiency of your air conditioner will have decreased by 15%. This obviously affects its performance and lifespan. 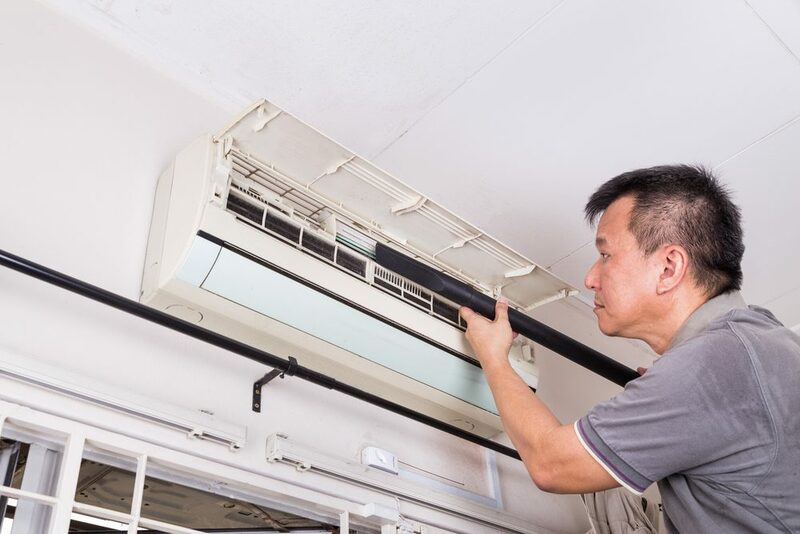 Regular aircon servicing will also find and fix small problems that could grow into much bigger problems that are more expensive to repair if not attended to. According to research, regular aircon servicing will give it 95% of its original efficiency. 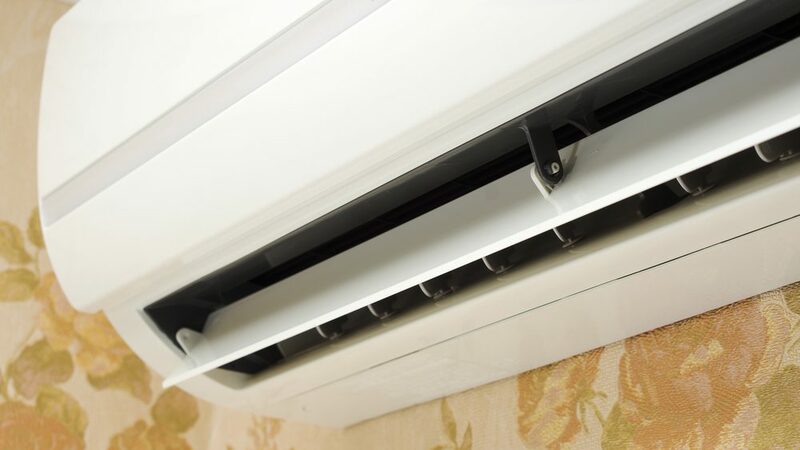 An air conditioner that is properly serviced also dehumidifies your home, so you don’t feel sticky.